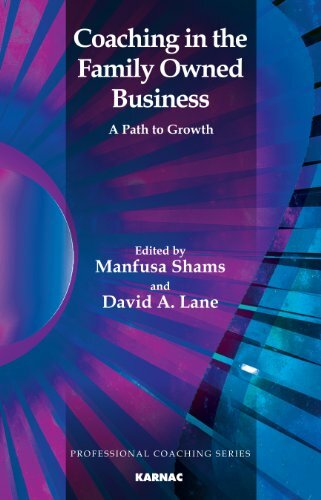 Manfusa Shams, CPsychol, CSci, AFBPsS, is Consulting Editor of The Coaching Psychologist. She is a Registered Chartered Psychologist, Chartered Scientist, and Associate Fellow of the British Psychological Society (BPS). She is former Deputy Chair for the BPS's committee for teaching of psychology to other professions, and a member of the BPS Special Group in Coaching Psychology. She is former Associate Editor of The Psychologist, Editor of the BPS psychology of women section newsletter, Book Review Editor of the BPS psychology of women section review, and a Guest Editor of the Asian Journal of Social Psychology. Among her major publications is a co-edited book on Developments in Work and Organizational Psychology: Implications for International Business (Elsevier, 2006), and two leading journals: The Psychologist (special issue, 2005), and Asian Journal of Social Psychology (special issue, 2005). She is a registered test reviewer at BPS Psychological Testing Centre, an experienced author, editor, supervisor, peerreviewer, and group facilitator. She completed her PhD in Occupational Psychology from the Institute of Work Psychology, Sheffield University as a Commonwealth Scholar. She has teaching, consultancy, and research experience of almost twenty years. At present, she is teaching at the Open University in England.